Indian Air Force pilot Abhinandan Varthaman, captured by Pakistan on Wednesday, will return this evening. Prime Minister Narendra Modi on Friday said every Indian was proud of Indian Air Force pilot Abhinandan Varthaman, who had shot down a Pakistani fighter jet before his plane went down over the Line of Control on Wednesday during the first aerial encounter between the countries in nearly half a century. 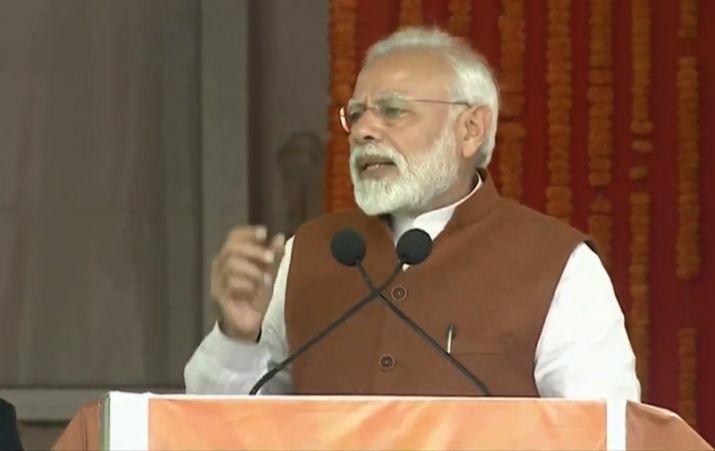 “It makes every Indian proud that the brave Wing Commander Abhinandan hails from Tamil Nadu,” PM Modi said at a rally in Tamil Nadu’s Kanyakumari. This is the first time since Wednesday that the Prime Minister has named him. “The events of the past few days have demonstrated yet again the strength of our armed forces. It has also brought our nation closer. The way the nation has supported our armed forces is extraordinary and I bow to every Indian for that,” he added. Indian Air Force pilot Abhinandan Varthaman, captured by Pakistan on Wednesday, will return this evening after Pakistani prime minister Imran Khan announced his release as a “peace gesture”, signalling the easing of tension between the two countries. The Indian Air Force said before falling in Pakistani territory, the Wing Commander was in hot pursuit of a Pakistani F-16 jet, which he engaged with an R-73 air-to-air missile. The state-of-the-art Pakistani fighter, thought to be a two-seater variant of the jet, was shot down. Abhinandan Varthaman was forced to eject and landed into the Pakistani side of Line of Control, where he was captured. While in enemy captivity, he has been admired for his presence of mind and fortitude. The videos were taken off as Pakistan was accused of violating the Geneva Convention.